With the weather getting colder, evenings getting darker and Christmas getting closer, the team has been looking at a variety of exciting PR campaigns this October to help us keep our creative fires burning! This month’s campaigns include Queen inspired Christmas lights in Carnaby, designers supporting Battersea Dogs and Cats home with a canine couture collection and Halloween Marmite jars for the lovers AND the haters. With Bohemian Rhapsody being one of the hotly anticipated film releases of 2018 there’s no doubt that Twentieth Century Fox were under pressure to make sure they got the launch just right and create one big noise around the new film release. Every year Carnaby Street is decorated with beautiful neon words for Christmas time, and with the film release coinciding with this year’s festivities it makes for a natural fit to celebrate both the film release and the traditional Christmas lights switch on. 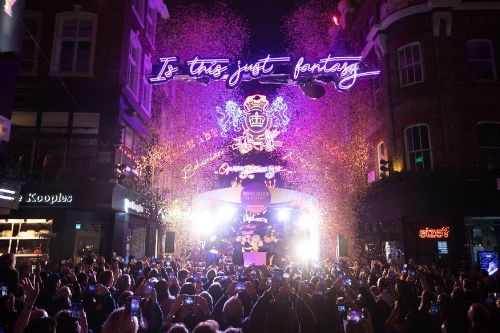 In celebration of the film release, Twentieth Century Fox unveiled a killer light display down the iconic London street, with lyrics from Bohemian Rhapsody burning through the sky. With a big flash the lights came on and created a kind of magic in Carnaby Street as the crowd went gaga for Brian May, Roger Taylor and the cast of the new film. That wasn’t all, fans of Queen can also pick up movie memorabilia, check out costumes from the film and watch archived Queen performance footage in a pop-up store at no3 Carnaby Street. We love a classic PR pop-up and the creativity involved with aligning a Queen film with Christmas celebrations in an authentic way. The campaign achieved national articles and features with ITV News, Forbes, NME, Time Out and the Londonist. This PR campaign certainly had us wagging our tails! 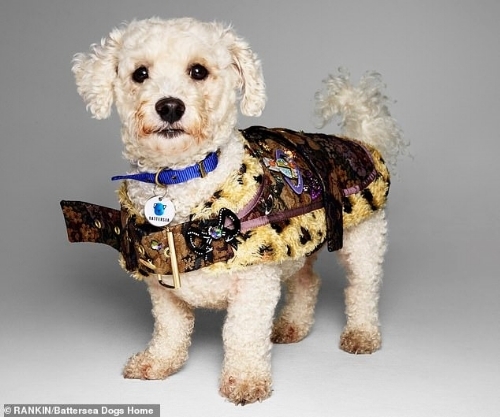 In October, top designers such as Vivienne Westwood and Lulu Guinness came together to create a special one-off range of canine clothing in support of Battersea Dogs and Cats Home. From diamond embellished coats and collars, to pompom and tassel garments, the unique doggy accessories were modelled by Battersea dogs and auctioned off at the charity’s Collars and Coats Gala Ball on the 1st November. The bespoke items were also auctioned online with all proceeds going directly to the home helping to support over 7,000 unwanted or abandoned animals. Every year it costs over £21 million to ensure Battersea can keep helping dogs and cats in need and the Collars and Coats Gala Ball raised much needed funds as well as awareness for the home. This heart-warming campaign took the media by storm and appeared in the Daily Mail and the Evening Standard. This is Not A Sushi Bar! Everyone loves free food, don’t they?! 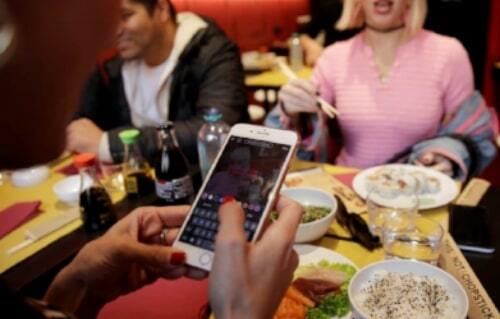 A sushi restaurant in Milan called ‘This Is Not A Sushi Bar’ allowed guests to pay the bill in Instagram ‘likes’ rather than rinsing their bank balance. Guests were asked to order their food, take a quick snap and post it on Instagram tagging in the restaurant. The number of followers determined the number of free dishes people could receive. Those with 1000 to 5000 followers gained one free dish of sushi or sashimi and those with 5,000 to 10,000 followers gained two free dishes. A whopping eight free dishes were given to the seriously Instagram famous who had over 100,000 followers! Plus the campaign gained national coverage in The Telegraph. With Instagram holding a booming 1 billion users, we thought this way a great way to engage local millennials and get the restaurant flooded with new customers, whilst promoting the restaurant across social media at the same time. Trick or Treat? Love or Hate? Halloween is an exciting time of year where everybody goes all out with scary costumes, pumpkin carving, decorations and treats. At SBPR HQ we certainly did! Mintel’s research showed that a frightening 52% of Brits splashed out on Halloween in 2017 and 25% of purchasers spent up to £25 on treats, decorations and costume so it’s not surprising that more and more big-name retail brands are coming up with inventive campaigns to get the most out of Halloween. For Halloween this year Marmite played the perfect ‘Trick or Treat’ prank on buyers highlighting one of the brand’s key messages – you either love it or you hate it. Marmite released two new limited-edition jars, available exclusively for a few weeks in October. 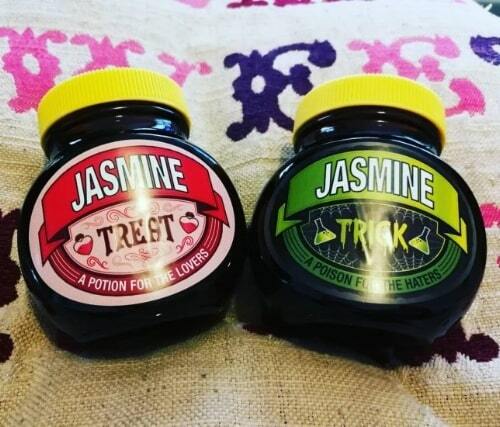 The spooky Marmite jars came in two variations; a ‘Halloween Trick’ to ‘petrify a marmite hater’ and a ‘Halloween Treat’ to ‘spoil a marmite lover’, both of which can be personalised. Marmite’s Trick or Treat campaign demonstrates that sometimes a simple tweak in your brands design can drive brand awareness. The beloved brand is well-known for its collectable jars which include the Guinness collaboration recipe that included 30% Guinness yeast, the Queen’s diamond jubilee edition, and the Marmite Gold edition with real edible gold flecks. Although an innovative play on Halloween, tapping in to the brands USPs, this campaign didn’t gain any national coverage. We think that this is because Halloween doesn’t tend to be a gift-giving holiday like Christmas, Valentine’s Day, Mother’s and Father’s Day, where personalised items are usually purchased for friends and family. Green Flag, a breakdown cover provider, wanted to convey how easy it is to switch to a different provider, and what better way to do this than hypnotise a bunch of die-hard football fans? The roadside assistance company hypnotised two groups of football fans during the North London derby between arch-rivals Spurs and Arsenal. The experiment, conducted during half time, was designed to highlight how simple it can be to switch allegiances. The video above shows a handful of supporters cheering for the opposition, having apparently been convinced to switch sides by a hypnotist. The clever concept tapped into the nation’s psyche and drew upon its research of 1,100 UK adults which revealed that half of football supporters would stop watching football all together if they couldn't watch their team play again. Dan Titley, head of marketing at Green Flag, said: "It's clear we're a passionate nation when it comes to football, but how much the UK public are prepared to give up for their team is incredible. The North London derby switching experiment is set out to show just how easy it is to switch - even in situations when switching isn't necessarily ok."
The stunt, created by PR from Frank, was a brilliant example of a creative PR campaign which resulted in coverage in a number of outlets including The Sun, The Mirror, PR Week, The Express and Yahoo Sports.